Living in the community for over 28 years, Heather Hayward Rorrick has been involved in community work for over 24 years. Rorrick first lived in Umbilo , and then moved to Glenwood. 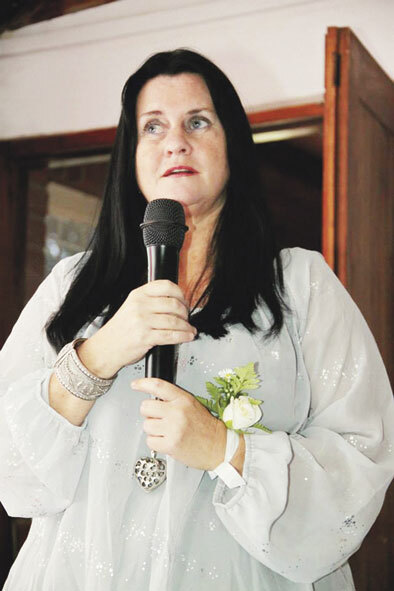 She is known as the chairlady for Bulwer Safety and Urban Regeneration Forum (BSURF), however was recently elected as the Umbilo SAPS CPF chair. “I have been involved in community work for around 24 years or more, and I have come to meet and become friends with so many amazing people. I love my community and the residents and people that work here, and this is why I got involved in community work here. Working with BSURF was amazing, working with a very dedicated team of residents who are just as passionate about community work as I am,” said Rorrick. Rorrick was voted as the new Umbilo SAPS Executive Community Police Forum Chair in November last year. “I was honoured and humbled to be voted by the community. This is indeed an honour as I have been told it is the first time a woman has held the position. I am even more grateful and honoured that the community have placed their trust and faith in me to hold such a position. I most certainly will work hard together with the other members, in order not to let the community down,” said Rorrick. She said, all the work she does is centred on uplifting and making the community cleaner and safer for all who live,work and go to school or any other higher educational institution within the community. Rorrick advised the community to assist the police to open cases when there is a crime, or even a possible crime committed. “No matter how big or small the incident may be, go report it to your police station. After all, a community that stands and fights together for their rights, will most certainly achieve far greater and more positive results. No matter how young or old you are, or who you are, or what strength you have, you can play an important role somehow in making a difference in your community,” Rorrick concluded.